White spot on teeth is mainly referred to as hypomineralization, hypo calcification, or hypoplasia of teeth. It occurs due to mineral deficiency in tooth enamel. There are many causes of white spots on teeth which include acidity, dry mouth, braces on the teeth etc. White spots on teeth is not a serious problem but if it left untreated it can lead to teeth decay. You can get rid of white spots on teeth with natural home remedies quickly. White spots on your teeth can dent your confidence and turn your beautiful smile to unpleasant. White spots on front teeth are easily visible. But sometimes it occurs on your back teeth which is hard to notice and can lead to teeth decay. Treatment of white spots on your teeth mainly depends on the causes. So it is very important to know the cause and start treatment accordingly. 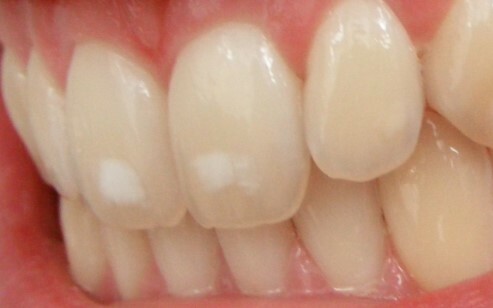 1 What Causes of White Spots on Teeth? 2.1 Prevent Your Teeth from White Spots? What Causes of White Spots on Teeth? There are various causes for white marks on teeth which include. Fluorosis – White spots on teeth can occur when too much of fluoride present in teeth which lead to discoloration. Basically, fluoride is very important to strengthen your teeth and prevent them from decay. But a high amount of fluoride can lead to fluorosis. The high amount of fluoride in toothpaste can cause fluorosis. It also affects your enamel and makes hard to brush your teeth. Enamel Hypoplasia- This is another major cause of white spots on teeth. 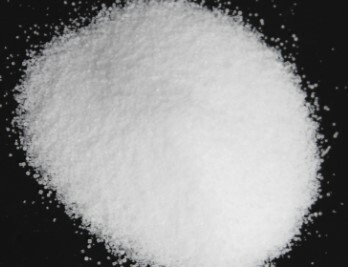 It mainly occurs because of mineral deficiency. Other reason of enamel hypoplasia can be high fever, premature birth of a child, and certain medication. According to many studies, it is found that parental smoking can also cause enamel hypoplasia. Dry Mouth– Dry mouth is normal to happen because of the low level of pH. Because of dry mouth bacteria will stay in your mouth for long which can damage your teeth. These bacteria further cause you white mark on teeth. Poor Oral Hygiene– Yes, poor oral hygiene can cause white spots on teeth. As many TV adds says brush your teeth twice in a day which is totally right to keep your oral hygiene good. Braces- It becomes very difficult to clean your teeth properly because of braces which leads to poor oral hygiene and cause your white marks on teeth. Genetic– White spot on teeth for some people can occur because of genetic reason. Celiac Disease– It is an autoimmune disorder which can occur genetically. This disease can also cause teeth discoloration. Sugary Food– High amount of sugar in your diet can cause white marks on your teeth. Eating too much of chocolate, toffee or sugar candy can cause white spots on children’s teeth. White spot on teeth after whitening strips– Many people use whitening strips for whitening their teeth but these strips can have side effects on your teeth. Instead of whitening strips, you can use a natural home remedy for whitening your teeth. Having white teeth can enhance your beauty but having white spots on teeth can dent your confidence and beauty. 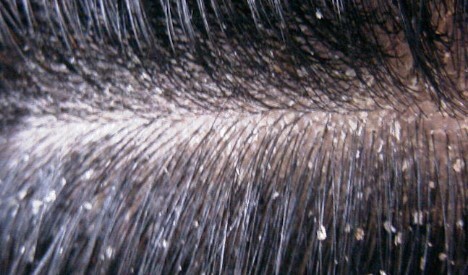 There are many causes for white marks on the tooth. For proper treatment, it is important to identify the cause. You can consult with a dentist for treatment but that treatment will be expensive. But there are very effective home remedies for removal white spots on teeth. 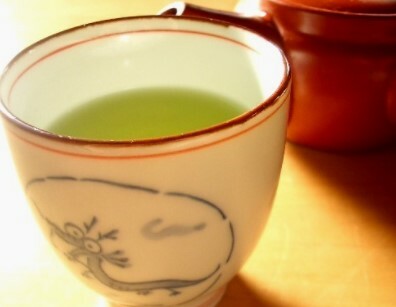 Many people will be surprised to know that green tea can be used to treat white spots on teeth. It contains many vitamins and mineral which can help your teeth to mineralize again. Green tea also has antibacterial properties which help to prevent plaque. Take one green tea bag and steep it in a cup of warm water for 5 minutes. Let it cool down so that you can rinse your mouth with it. You have to rinse your mouth for at least 30 seconds with green tea. You can do this remedy 2-3 times in a day. Oil pulling is one of the oldest home remedies which is used for the various dental problem. It helps to remove toxins and bacteria that makes your teeth whiten and stronger. It also prevents you from gum disease like gingivitis and dry mouth. 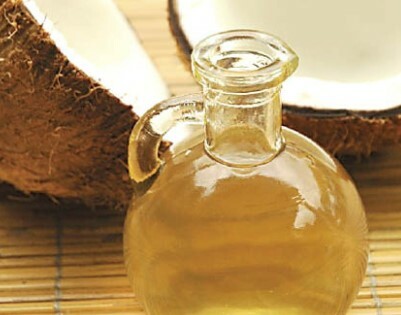 Take two tablespoons of essential coconut oil or sesame oil. Now apply oil to your teeth with a finger or you can also swish oil in your mouth for at least 2 minutes and max for 15 minutes. Then wash your mouth with warm water. Do this remedy in the morning and before going to bed for a quick result. 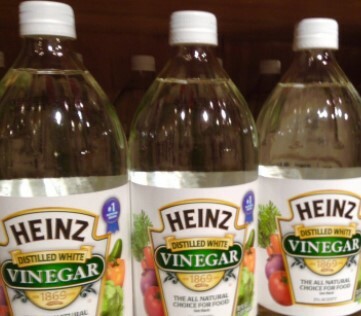 White vinegar is a very effective home remedy to get rid of white spots on teeth. It can be used to prevent plaque and bad breath because of its antibacterial and antifungal nature. White vinegar is acidic in nature which prevents you to have demineralization of teeth. Prepare a mixture of two tablespoons of white vinegar, one tablespoon of salt and half a cup of warm water. Mix them well and rinse your mouth 2 times in a day for a week or until you get rid of white spots on teeth. 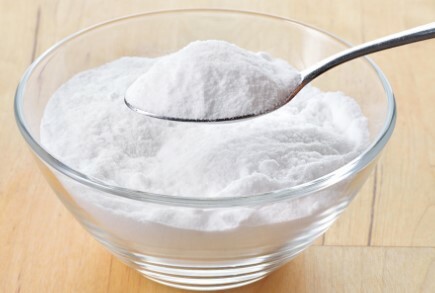 Baking soda is a good home remedy for whitening teeth but it can also be used for white spots on teeth. It improves overall oral health and removes bad breath. When you brush your teeth with baking soda it kills bacteria prevent you from having white spots on your teeth. Take one teaspoon of baking soda and brush your teeth with your toothbrush. Make sure your toothbrush is wet before brushing your teeth. You can also make a thick paste of one tablespoon of baking soda with water. Now brush your teeth with this paste for two minutes. Brush your teeth with normal toothpaste after brushing your teeth with baking soda. Note: Do this remedy 3-4 times in a week because using too much of baking soda can have side effects on your teeth. Salt contains many minerals which improve teeth health and prevent you from white spots on teeth. You can also use salt to remove bad breath from mouth and to fight with gum disease. Make a thick paste of two tablespoons salt and water. Now apply this paste to your teeth properly. Let it on your teeth for 2 minutes and then wash your mouth with water. You can do this remedy every day in the morning for a week or until you get rid of white spots on teeth. 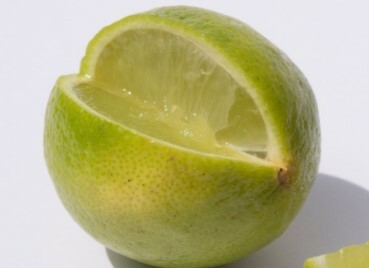 Lemon has bleaching properties which help to remove white spots on teeth. It can also help you to have whitened teeth. Take 3 tablespoons of lemon fresh lemon juice. Now dip a cotton ball in lemon juice and apply on your teeth. Rinse your mouth with water after 2 minutes. Avoid this remedy if you have to feel sensitivity or any kind of pain. Another good home remedy to cure white spots on teeth quickly. Make eggshell toothpaste to remineralize your teeth. It contains a high amount of calcium which improves the overall health of your teeth. 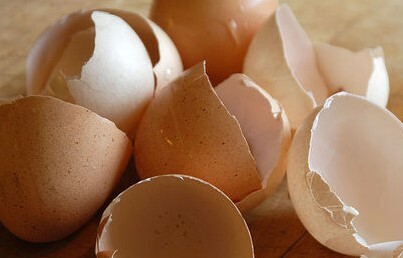 Take eggshell of 10 boiled egg and grind the shell into a powder. Now mix the eggshell powder in 3 tablespoons of coconut oil and also add one tablespoon of baking soda in it. Brush your teeth with this paste daily for a week or until you get rid of white spots on teeth. 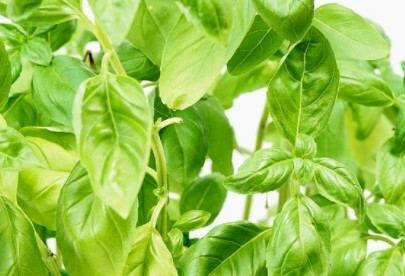 Basil leaves contain bleaching properties which help to remove white spots on teeth and also cure bad breath. It also improves your oral hygiene and whitens your teeth. Take a handful of dried basil leaves and grind them to a fine powder. Now use this powder to brush your teeth for a month to get a better result. You can also make a paste of fresh basil leaves and mustard oil. Take 4-5 leaves of basil and 1 tablespoon of mustard oil. Apply this paste to your teeth with your finger. Let it be on your teeth for two minutes and then wash it off with water. One of the best way to remove the white spot on teeth to prepare remineralizing toothpaste at home. This remedy will remove mineral deficiency in your teeth. To prepare this homemade toothpaste you need four tablespoons of coconut oil, three tablespoons baking soda, three drops of peppermint oil, 5 tablespoons of calcium powder and you can also add three tablespoons of xylitol powder (optional). Now mix all the ingredients in a bowl to make a thick paste. You can store this paste in a small jar. Brush your teeth daily with this homemade toothpaste until you get rid of white spots on teeth. This is an ancient home remedy which used to clean teeth for a thousand years. Activated charcoal is a very effective home remedy to remove white spots from teeth. 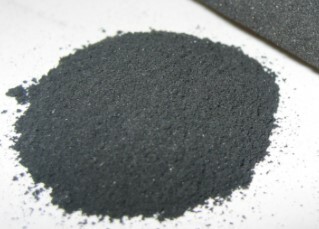 Take 2-3 tablespoon of Activated charcoal powder and brush your teeth with this for two minutes. Then rinse your mouth water. Use this remedy until you get rid of white marks on teeth. Prevent Your Teeth from White Spots? Prevention is always better than cure. Making some change in your lifestyle and diet can help you a lot in your life and as well as prevent you from white spots on teeth. Brush and floss your teeth twice in a day. Avoid smoking if you are pregnant. Use toothpaste which contains less amount of fluoride. Add calcium to your diet. Make sure you clean your teeth properly when you wear braces. You can use some extra technique to clean your teeth. Every person in this world desire to have beautiful teeth because teeth can enhance your overall beauty. But due to various reason, you can have white spots on your teeth. this is not a serious health issue but it could affect your confidence. You can consult with a dentist regarding white spots on teeth but treatment could be costly. There are effective home remedies which can help you to get rid of white spots on your teeth. Use above mention home remedies for white spots removal from your teeth. You can leave your suggestion and question in the comment box.